Beloved New Orleans storyteller Coleen Salley inspired countless children to embrace the joys of reading with her riotously funny-and distinctly Southern-children's books. 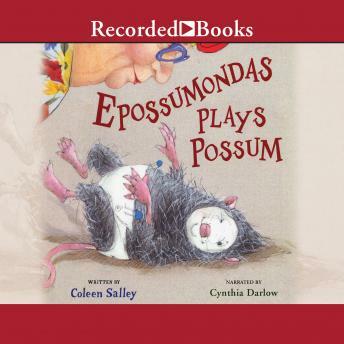 With the fourth book in the series, the late author presents readers with one more romp through the lively world of everybody's favorite possum. Epossumondas wants to listen to Mama, but it's so hard to remember everything. So Epossumondas heads into the swamp he was warned about-and there he'll have to do what possums do best if he is to escape trouble with the legendary loup-garou.